The Association successfully completed the first year of the new 8 year paint cycle which included 1901, 1903, 1905, 1907, 1909, 1911, 1913, 1915, 1917, 1919 Wilshire Drive. After experimenting with different paint grades over the last 8 year cycle, the Sherman Williams A-100 series has held up much better than the other grades. For this eight year cycle, homes will be painted with the A-100 paint series. 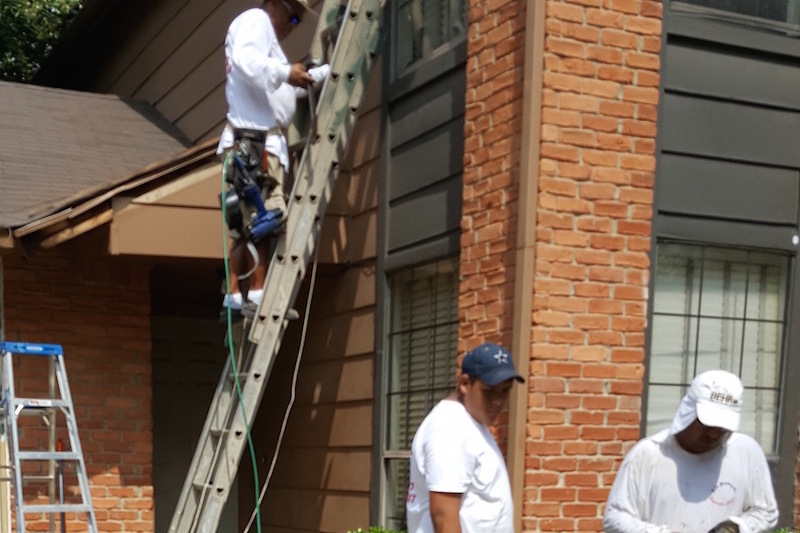 As a reminder the Association performs annual painting and exterior siding repairs according to the maintenance obligations established in the bylaws and deed restrictions (Covenants & Restrictions Article X). All homes are on an 8 year cycle which was determined by homeowner vote in 2010, and amended to the Covenants & Restrictions in 2012. The 2018 paint cycle is already drawing near. It will cover the odd numbered homes on the 1600 block of Brentwood: 1601, 1603, 1605, 1607, 1609, 1611, 1613, 1615, 1617, 1619, 1621, 1623 Brentwood Drive, and the 2023 Wilshire community center. The Association perform annual painting and exterior siding repairs according to the maintenance obligations established in the bylaws and deed restriction (see Article X: Exterior Maintenance).